Illinois Craft Beer Week (ICBW) is a marathon, not a sprint. If you're gonna run it well, you better know how to pace yourself. We've all seen people go out too hard and tear through Beer Under Glass (BUG), enamored and then hammered by the seemingly limitless amount of brews. We've been those people. Beer fests are exciting. We get it. It's a long and wonderful week though, and BUG is only meant to be an intro, the first mile of the marathon. This year as a club, we attended an event seven of the eight days of ICBW, drank at least one beer from Illinois each day of ICBW and hosted our first ever ICBW event. Immediately following the week, the Saturday after it ended, we also hosted a fundraiser and beer tasting in support of Wounded Warrior Project. As busy as it was, we had an amazing time celebrating the industry and walked away learning a few things. First and foremost, as much as ICBW is about beer, it's about people. If you're not getting to know the people you're drinking with, you're missing out. The best part of our week was hanging with the people who brew the beer we love and a whole lot of people who are as obsessed with beer as much as we are. There are moments during ICBW when you start talking yourself down beer nerd rabbit holes, rambling about craft lagers or how there are two hops you can confidently pick out in a beer, and you look up to realize "these people are actually interested in what I'm talking about right now." It's the perfect environment to share and acquire information about taste and what's going on in the industry. One of the most apparent trends we saw throughout the week was New England style IPAs aren't going anywhere, but just being labeled as "NE" isn't enough anymore. You have to milkshake your NEIPA now, by adding lactose, vanilla and usually fruit. There are sour NEIPAs, coffee NEIPAs and purple grape juice NEIPAs. You still double dry hop? You better triple dry hop if you want to stand out. Juicy has become juice-ish. Smoothie or bust. In large part due to NEIPAs and their short shelf life, there is a new wave of drink fresh advocates out there, ourselves amongst them. 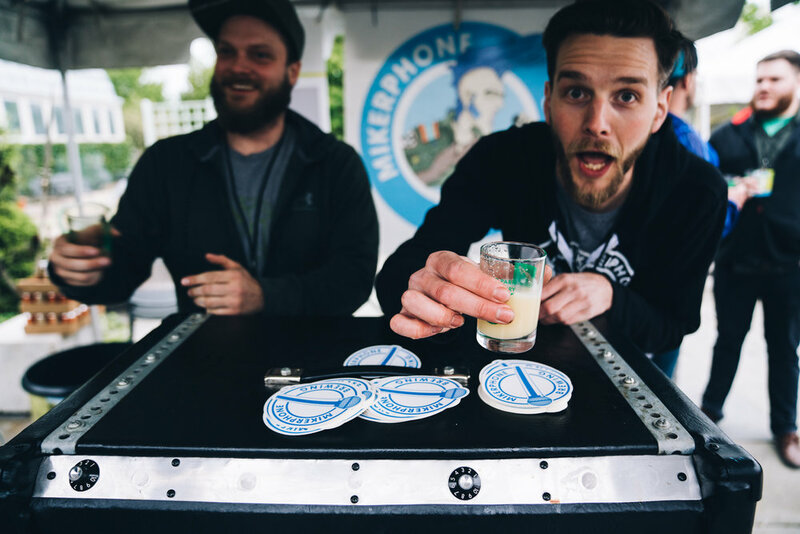 The Hop Review even hosted an entire event during ICBW called Ultra Fresh, showcasing beer packaged within five days of the event. There are some styles of beer whose flavor may change over time for the better, most of them will have spent some time in a barrel at one point or another, but all other beer generally tastes best fresh. Hop flavors and aromas don't stick around very long in beer, and whether or not you think you're tasting hops in your favorite beer, the hops used to brew it are contributing to the flavor you love. Another prevailing trend we noticed throughout the week was fruited beers. Using fruit in beer isn't new, but it seems like the industry is catching on to the approachability of fruit. A consumer might not know what a Kölsch is, but adding lemon and strawberry to it automatically creates a mental association to a refreshing summertime drink. It's a smart way to get someone who normally buys big beer to give your craft option a try. Most of our current favorite breweries were discovered during past ICBWs (formerly Chicago Craft Beer Week). We've been talking a lot lately about the experience of drinking beer and how it can influence your perception of what's in the glass. ICBW provides environments for you to experience beer in ways you would never have the opportunity to otherwise and adds context to what you're drinking. Keep an eye out for a recap about our favorite beer drank during this year's ICBW, and until next time, cheers!